← The European Council (Art. 50) adopted guidelines for the second phase of the Brexit negotiations. 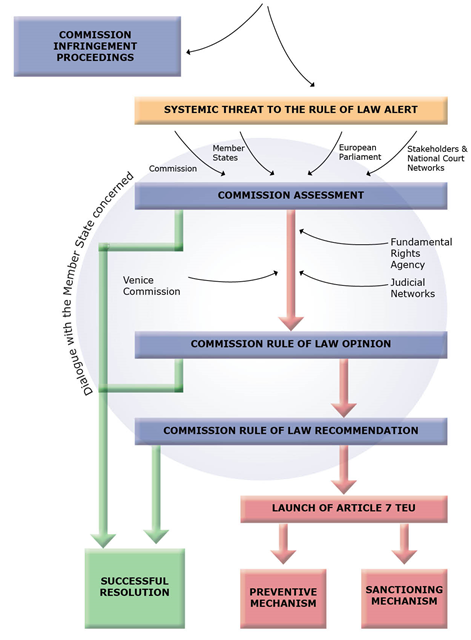 The European Commission is taking action to protect the rule of law in Europe. Judicial reforms in Poland mean that the country’s judiciary is now under the political control of the ruling majority. In the absence of judicial independence, serious questions are raised about the effective application of EU law, from the protection of investments to the mutual recognition of decisions in areas as diverse as child custody disputes or the execution of European Arrest Warrants.